Cryptocurrency News Archives | What Is A Cryptocurrency? ATM machines have traditionally been a solid income opportunity at point of sale retail locations. Now there is a new demand for cryptocurrency ATMs, and the volume of transactions at some of the top locations prove there is substantial money to be made from catering to these transactions. Interested in becoming a bitcoin ATM operator? ATM Marketplace, an ATM industry resource, has released a 40-page guide on bitcoin ATMs that explores every aspect of the business opportunity. The report is titled, “Bitcoin ATMs 101: Opportunities for the IAD.” IAD stands for independent ATM deployment. The guide, the first to examine the emerging cryptocurrency ATM market, notes bitcoin ATMs offer an efficient and secure way for people to buy and sell bitcoins. Bitcoin ATMs are an alternative to bitcoin exchanges that many believe are more susceptible to hacking and fraud. Bitcoin ATMs shoulder the credit, counterparty and volatility risk associated with bitcoin exchanges. 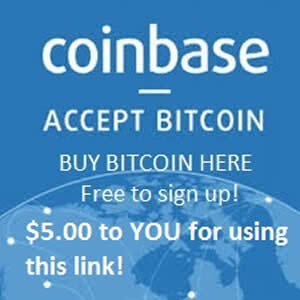 The guide summarizes ATMs from eight of the largest bitcoin ATM manufacturers: BitAccess, BitXatm.com, Coin Outlet, General Bytes, Genesis Coin, Lamassu, Robocoin and Skyhook. It also summarizes the different ID verification processes. The guide includes an overview of bitcoin for readers who may be completely new to cryptocurrency. It can be downloaded for free by visiting the ATM Marketplace website. It’s a no brainer to expand into the future of money with bitcoin ATMs if you already have retail locations in operation. Just choose your highest volume location to put your first machine. Place your machine well, and it will pay off for a long time to come as the digital revolution is only just getting started! For existing ATM operators, bitcoin offers an opportunity to generate additional revenue streams at their ATMs. Operators of existing ATMs can install bitcoin software, allowing them to provide bitcoin in addition to traditional currency. Those who opt for dedicated bitcoin ATMs must decide whether to provide the ability to buy and sell bitcoins or just bitcoin purchase capability. Bitcoin ATM transaction fees are generally higher than traditional ATM transaction fees. The average transaction fee for buying and selling bitcoin at bitcoin ATMs is 6 percent. In addition to charging transaction fees, some bitcoin ATM operators make money on the currency “float.” Because bitcoin prices vary among the different exchanges, bitcoin operators can sell bitcoin at a higher price than they pay for it. As for income potential, the guide notes prime bitcoin ATM locations are reporting monthly transaction volumes ranging from $70,000 to $300,000. Successful operators have been covering the cost of their machines in three to nine months. The guide also notes there are regulatory compliance requirements and remittance fees to consider. Operators need to weigh potential benefits against downsides, such as bitcoin price volatility and market uncertainties. There is an overview of the current size of the bitcoin ATM market. As of March 2015, 356 bitcoin ATMs had been installed worldwide, according to Coin ATM Radar, including 119 in the U.S., 60 in Canada, 20 in Australia and 20 in the U.K.
Nearly two-thirds (61.8 percent) of bitcoin ATMs installed worldwide in March 2015 were one-way (selling bitcoin for cash) compared with 38.2 percent that were two-way (buying and selling bitcoin). 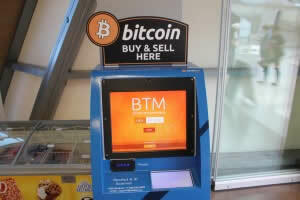 There is also an overview of the regulatory issues that bitcoin ATM operators must consider. In the U.S., banking and payment services are regulated at federal and state levels. One section addresses the recently published New York Department of Financial Services’ BitLicense. There is also a section on Canadian bitcoin ATM regulations. Share this article with your network using the social media sharing buttons below!